1) Come Sunday mornings to our worship services to hear the pastors speak on Prayer. Join us at one of our locations! 2) Join a small group doing the 40 Day study. Check out all Rock Church groups here. 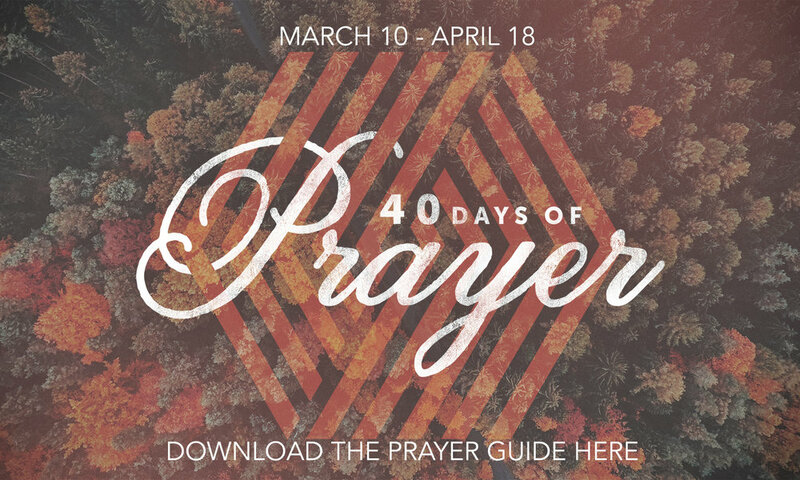 4) Follow along in the 40 Days of Prayer Guide Booklet. Pick one up in any foyer or download it.